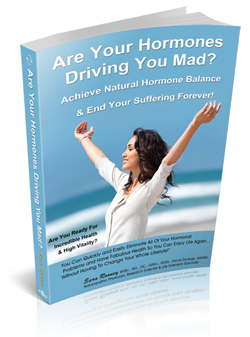 You are here: Home / Healthy Lifestyle / Are You Suffering From ‘Metabolic Syndrome’? Metabolic Syndrome is an increasingly common health disorder which affects many people’s lives by reducing their quality of life as well as their potential life span. Metabolic syndrome can cause a number of serious health conditions such as diabetes, fatty liver and chronic cardiovascular diseases. As a naturopathic practitioner, I find that early intervention is required to prevent the progression of the pathological processes involved with this condition. Treating this syndrome effectively can potentially improve your short and long term health. The symptoms of metabolic syndrome are related to three main factors: insulin resistance, visceral obesity and endothelial dysfunction. • Eating a high calorie diet especially one that contains a lot of carbohydrates such as pasta, bread, potatoes, biscuits, cakes, fruit juices, sweets, etc. • Eating a diet that is high in saturated fats. • A lack of regular exercise. • High toxin levels within your body. • A family history of diabetes, heart disease or stroke. • Weight loss is essential. Refer to the section on Beating Obesity on this site to find out how you can lose excess fat quickly, safely and without going hungry. This diet should also help reduce high triglycerides, high insulin levels and other biochemical imbalances that put you at greater risk of heart disease. • Take pure fish oil supplements to increase your ‘healthy’ HDL cholesterol levels and increase your consumption of fish, nuts and seeds. • Exercise regularly. Seek advice from your health practitioner before starting an exercise program if you are unfit or obese. Regular exercise, such as 30 minutes of brisk walking, 4-5 days pw, has been shown to reduce high blood glucose and high blood pressure, increase weight loss and provide other health benefits. • Reduce systemic inflammation. Consult your Naturopathic practitioner about natural and effective anti-inflammatory supplements to stop the damage that uncontrolled inflammation can cause to your heart, arteries and the rest of your body. • Stop smoking if you are a smoker. If you require help to stop smoking, consult our centre for a referral to a stop-smoking program that has a very high success rate. • Relax! Ongoing stress has been shown to increase blood pressure and blood glucose levels as well as cause an inflammatory response throughout your body. Take up yoga or meditation and practice these each day. Seek counselling if you have some unresolved issues and most importantly – be kind to yourself! • Work with your Naturopathic practitioner to monitor your glucose, blood pressure and cholesterol levels and to receive safe and effective treatments that help prevent or treat high cholesterol, high blood pressure, high blood glucose and other risk factors for cardiovascular disease and diabetes. Naturopathic health care can provide safe and effective solutions to the conditions involved with metabolic syndrome. If you believe you have ‘Metabolic Syndrome’, seek health advice as soon as possible as the earlier this syndrome is identified and treated, the less damage occurs to your body and the more chance you have of a full recovery. If you know someone that may have this serious but often silent condition, share this article with them so they can learn more about their health and what they can do to improve it.